The eternity of the soul entails that your soul doesn’t just exist on its own timeline–the journeys and transformations it undergoes are part of the records of all existence. All souls are recorded in the Akashic records, which can help you to understand your own place in the universe and what you can do to fulfill your destiny. 2 Why Should I Access My Akashic Record? 3 What Can I Access in My Records? In a word, the Akashic records are a compendium of every part of the human experience that has happened or that ever will happen. This would include thoughts, actions, words, emotions, intents, and outcomes. These components are said to all exist on a non-physical plane or state of being. These records contain information on each of our souls, including the most pressing question of why we are created and what we are meant to fulfill. The word “Akashic” comes from the word for ‘space’ in Sanskrit. The records can only be accessed by those in death or in a deep meditative state in which one can separate from the body. 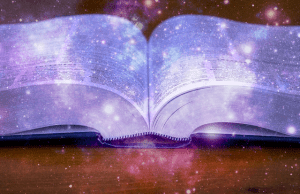 Why Should I Access My Akashic Record? Accessing one’s Akashic record leads to a deeper understanding of the higher self. It is often used to seek answers for why one has been incarnated and what one’s reason for being is. It can also be used as a predictive measure to learn what one’s lifestyle is to be like and who one is meant to encounter and why. Many who believe in the Akashic records also believe in “spiritual contracts”. Spiritual or soul contracts are the notion that one’s soul has made decisions about human life prior to being incarnated. These decisions are made in order to reach a higher state of being and/or fulfill a spiritual goal or need. Anyone has the ability to access their records. While everyone has this right, it is important to maintain a sense of integrity in the motivation of accessing these records. Access should be used in order for higher learning and self-reflection to obtain an inner peace rather than for answers of a selfish nature. What Can I Access in My Records? From where does our soul come from? What skills or lessons have we learned from past lifetimes and in between? What are we here to give? What are we learning and what do we still want to learn? Additionally, one may be able to access information about past lives and potentially even lives that are still lying in wait. One may also be able to learn what one’s connection to other souls in this life and others has been. Belief. Believing in what you are about to practice is the key. You must maintain an open mind and be willing to experience new possibilities and feel things you might never have felt before. If you feel skeptical or allow worldly limitations to prevent you from your goal, you may not be able to access it with such ease. Patience. Practice of clearing the mind and centering your focus may take some time. Consistent understanding and patience will allow for easier access. Meditation. Allow your physical body to relax into a deep, meditative state. Be fully present in the moment and aware of what you are feeling in order to better remember your results. Acceptance. Once you have accessed your records, you may be party to some information that may surprise or even astonish you. All information that is revealed is for the betterment of your soul and higher self. Do not allow your worldly ego to interfere. Security. In order to access these records, your body and mind will need to feel safe and secure in the physical and mental environment in which you are dwelling. Believe in the protection from your spirit guides and remember that nothing can hurt you. While your soul and higher self will be doing the brunt of the work, there are some objects that can help assist you in your journey. Crystals—Crystals and minerals possess a variety of qualities that can help facilitate a spiritual connection or journey. Crystals such as quartz, amethyst, fluorite, and many others all can help foster a supportive environment. Sage & Incense—Sage is known for warding off bad energy, while incense like lavender can produce a calming and almost dreamlike effect. Pendulum—Many who are beginners in New Age spiritualism may find that pendulums are a great tool when seeking answers. Pendulums are devices that help set intention and can often be used to answer yes/no questions. Crystal/Indigo children—Children born with innate abilities and gifts oftentimes can access their higher self with much ease. As sensitive and/or intuitive beings, they exist in order to further human evolution for the collective conscious. Reincarnation—The belief that we have been born before and will be born again in a cycle of lives, in order to further learn about ourselves and others. These cycles can often be learned of in a meditative or hypnotic state. Famous cases include Barbro Karlen who is thought to have been Anne Frank. Higher Self—The pure state our souls are in apart from our physical form. Thought to be all-knowing and existing at all times. Said to be accessible either in death or in a meditative state. The higher self is not limited by human ego and expectations. The Akashic records are a tool to help further our spiritual growth. By accessing them, you will be closer to achieving inner peace and understanding. You may also seek the assistance or guidance of an experienced intuitive who can help you to both access your records and interpret the results afterwards.